Our Calabasas car accident lawyers and law firm provide expert personal injury legal services for those injured in auto, motorcycle, bicycle, pedestrian and other accidents, and for the relatives and families of those killed in car and other fatal accidents for wrongful death claims, in Calabasas, California, a city located in Los Angeles County, California. If you had a car accident or other personal injury claim in Calabasas or anywhere in Los Angeles, California, please contact our Calabasas car accident injury lawyers now for a completely FREE CONSULTATION. For additional helpful information about car accident injury claims and our car accident injury attorneys, please visit our updated and comprehensive Car Accident Web Site simply by clicking here. The affluent City of Calabasas, located in the west San Fernando Valley of Los Angeles, between Woodland Hills and Agoura Hills, and near Hidden Hills, Bell Canyon, West Hills and Canoga Park, has a population of 23,058, according to the 2010 census. Calabasas has excellent schools, both public and private, including Calabasas High School which is known for top academics, its theatre program and dance team. 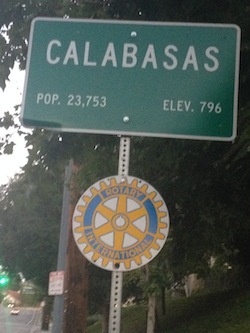 Calabasas also has many thriving businesses, beautiful homes and a balanced budget. 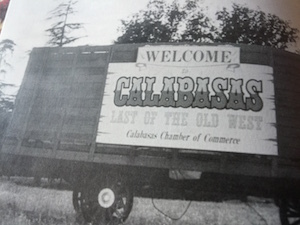 Both the City of Calabasas and the Calabasas Chamber of Commerce proudly celebrate their annual Calabasas Pumpkin Festival in October, near Halloween, including carnival games, exhibits, demonstrations, as well as live entertainment, at Juan Bautista de Anza Park, located just south of the Ventura (101) Freeway at Lost Hills Rd. & Agoura Rd. There is free parking, a small admission charge and friendly leashed dogs are welcome. Drivers should have a cell phone or other mobile device to call for help and take photos of all damaged vehicle and the scene, as well as pen and paper for taking notes, and a disposable camera to take additional photos of the vehicles and scene. Always have a card with personal information about any medical allergies or conditions that may require special attention if medical care may be needed for you or any children due to serious injuries. It is important that you also keep a list of contact numbers for law enforcement agencies. Also, have a set of cones, warning triangles or emergency flares in the trunk of your car. Please see our Car Accident Advice Web Page for additional advice and assistance. In a location with a high amount of social and business activity, the lawyers at the The Offices of Gary Walch, a Law Corporation, know that many unfortunate injuries resulting from car accidents occur often. When you or someone you care about has been a victim of an automobile accident because of a drunk driver or negligent driver, you need to contact an experienced attorney that will represent you and ensure complete compensation for all the damages you have suffered. As a victim, you shouldn’t have to go through the stress of dealing with the demands of insurance companies. At our law firm, our personal injury attorneys have successfully handled thousands of cases with a 95% success rate! In 2009 alone, there were 163,524 victims of injury collisions in California. When you have been injured in a car accident, or a family member killed and you have a wrongful death claim, it is important that you have a lawyer with substantial legal expertise and experience who can help you. Our senior attorney has over 40 years car accident personal injury legal experience and has successfully resolved thousands of car, auto, motorcycle, bicycle, uninsured motorist (UM), pedestrian and other motor vehicle claims. 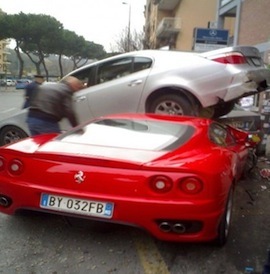 We invite you to see our Car Accident Testimonial Pages. One common injury that victims of car accidents experience is spinal cord injury. The spinal cord is a long, thin, tube of nerves, tissue and cells that extends from the brain to the low back. A spinal cord injury occurs when there is damage to the spinal cord from trauma, loss of its normal blood supply, or compression from tumor or infection. The most common cause of spinal cord injury is trauma. Nearly half of these injuries are caused by motor vehicle accidents, including car accidents, motorcycle accidents and truck collisions. An automobile accident is a serious matter that can lead to tragic outcomes and have long-lasting effects on the victims involved so it is very important to have an experienced attorney on your side.